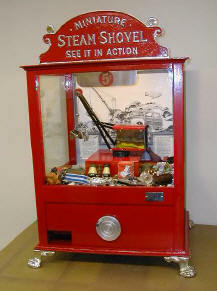 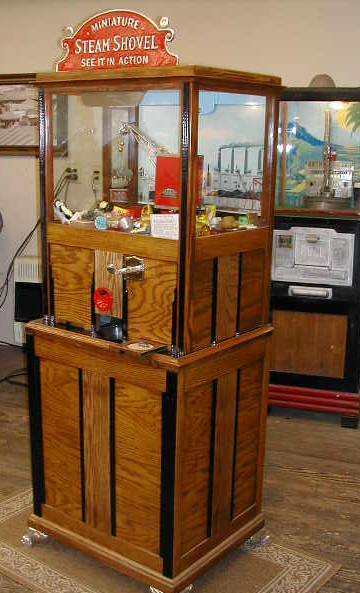 The Novelty Candy Vender was a quite involved, chest-type, claw digger machine manufactured by the Exhibit Supply Co. in the late 1930s. 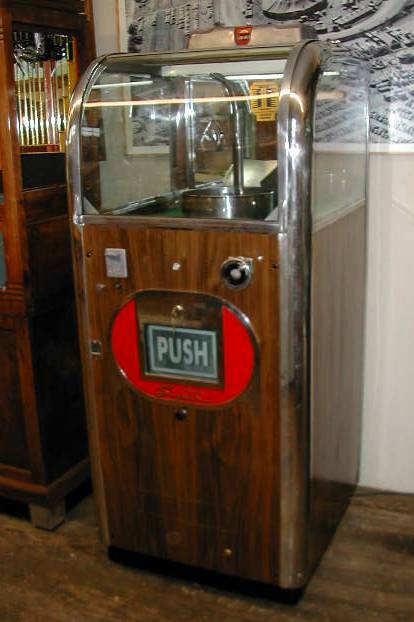 It was a very expensive model considering the formidable extra mechanical and decorative features it offered. 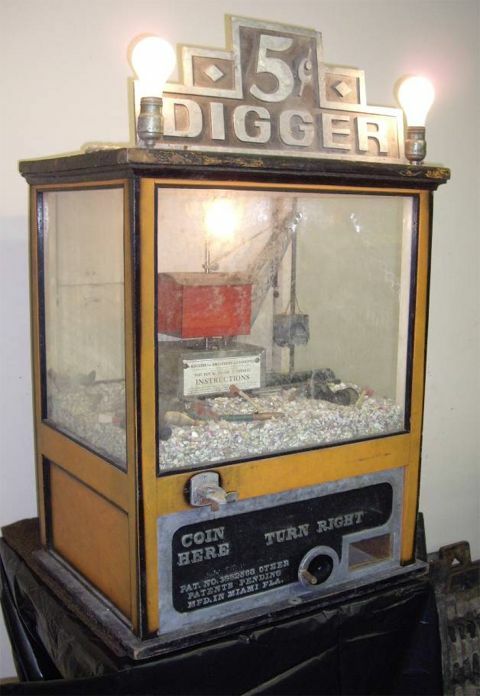 The playing method is a bit different than most diggers. 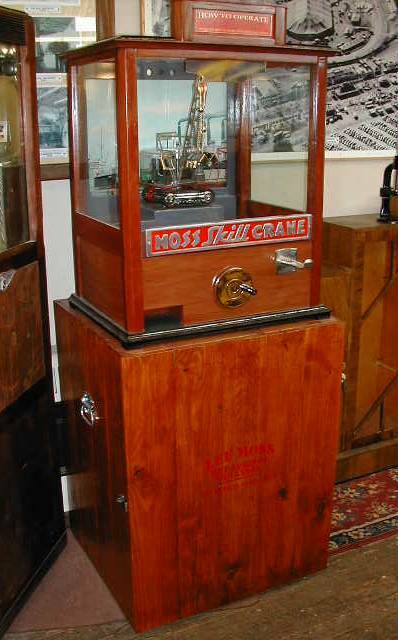 The sweep of the crane boom arm is controlled by the hand wheel on the front of the cabinet. 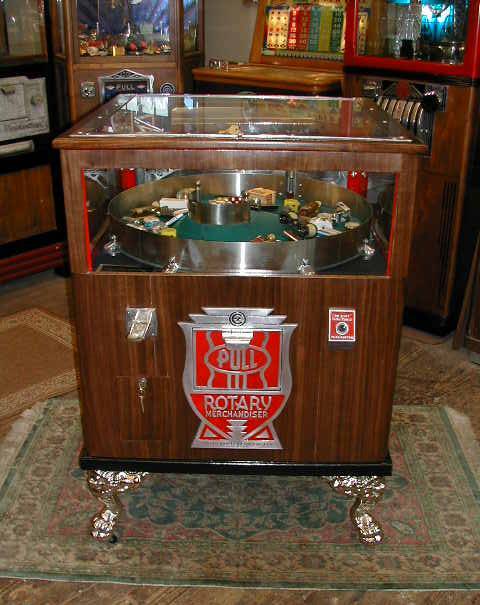 The turntable rotates upon the insertion of a coin. 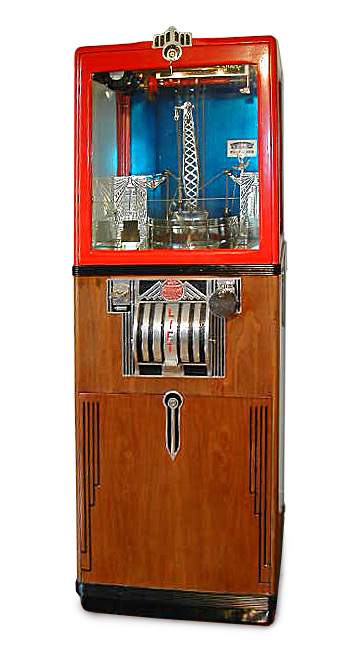 The player then manipulates the crane boom and uses the stop button to target the desired prize. 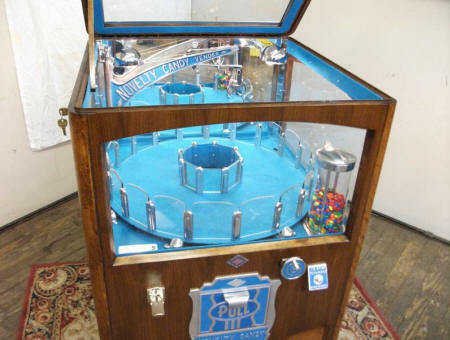 When the stop button is pushed the turntable stops and the digger automatically drops, grabs, and returns to dump in the center opening of the turntable. 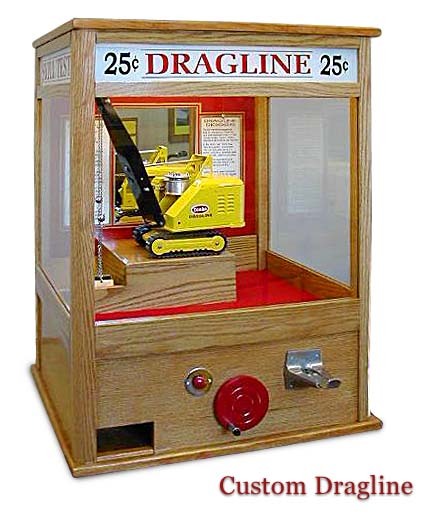 The claw can therefore reach any area of the prize field, overcoming a common complaint of most diggers of the period. 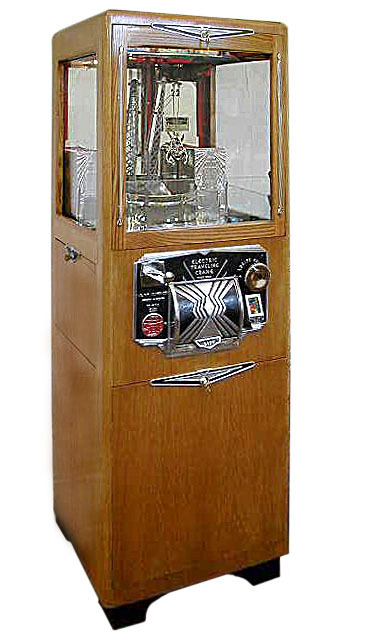 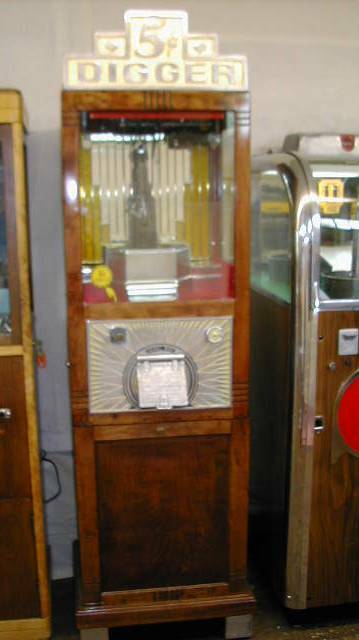 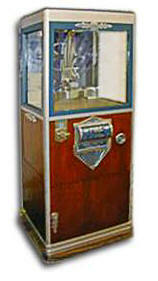 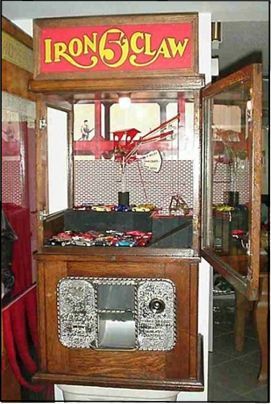 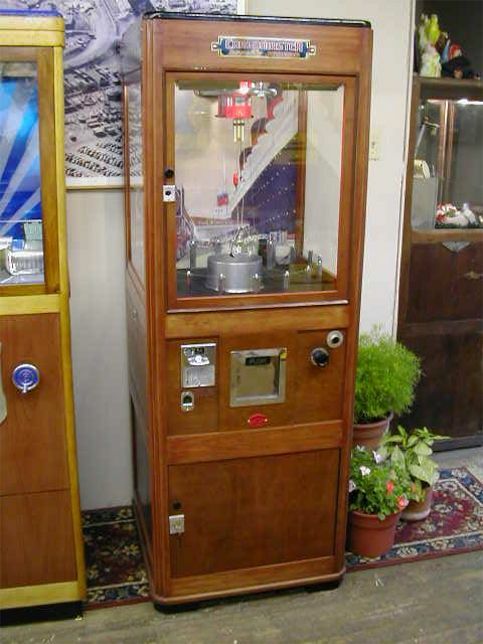 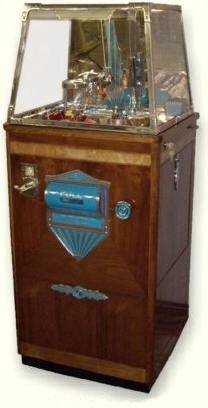 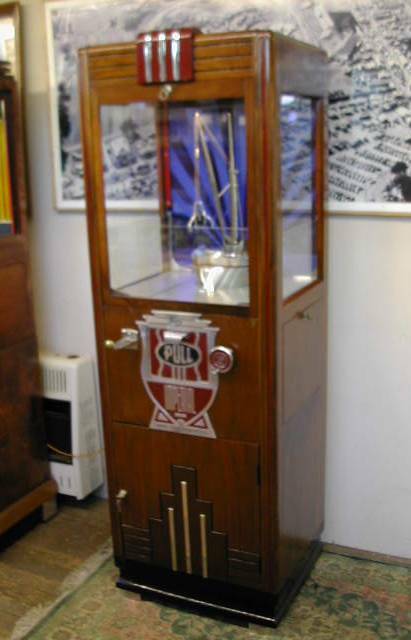 Additionally, a mechanical vending assembly dumps a few small candy mints into the prize door with each play – an attempt to class this machine as a “vendor” rather than a “gambling device”. 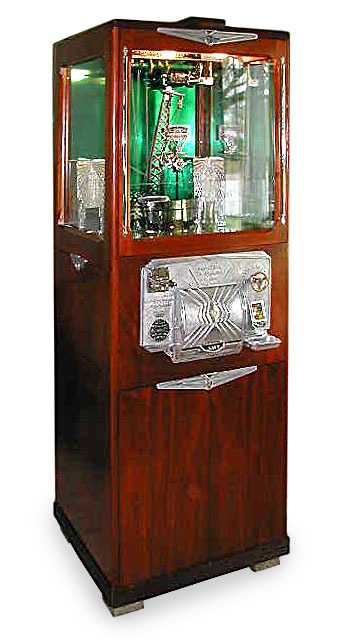 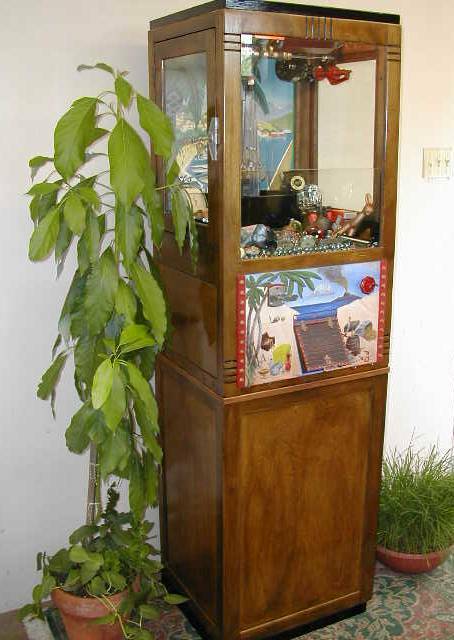 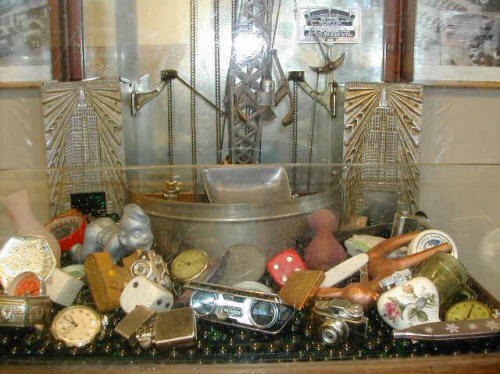 Considering all of these very special features, along with the beautiful walnut and bird’s eye maple cabinet, this is truly a top of the line collector/investor machine and is now featured in a fine private collection of antique coin-operated machines.